ZEAL’s ROLE: Responsible for full event design and management services including screen content, conference layout, set design, event production and full on site management. We also worked on the Gala Dinner design, entertainment selection and full execution on the night. 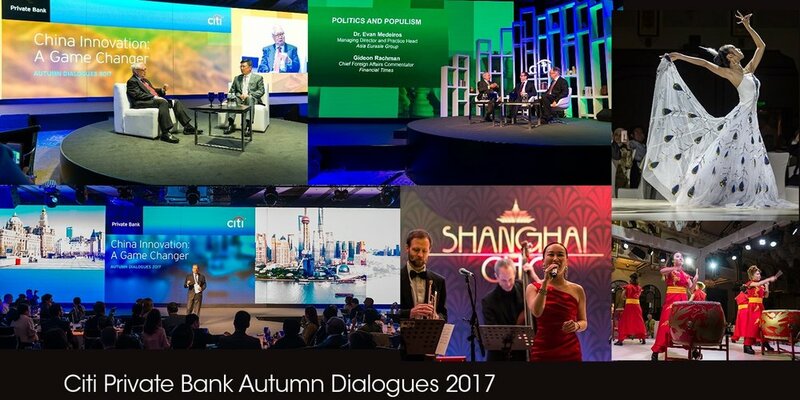 OUTCOME: One of Citi’s goals was that their multi faceted strategic messaging needed to be effectively communicated throughout all aspects of the event, this was achieved. The impact of the panoramic screen and the dramatic content that was designed for it was incredible. The audience were kept engaged as the look remained fresh throughout. The Gala Dinner was very well received and guests praised the logistics throughout the event.